Is well suited for those who want NIOSHs highest rated filtration efficiency in a maintenance free respirator. It provides a minimum filter efficiency of 99.97% against non-oil based particles. 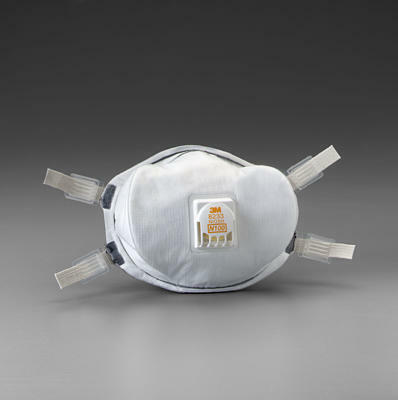 This respirator is an excellent choice for lead abatement, pharmaceutical manufacturing, welding, metal pouring and work involving OSHA substance specific particle exposures in concentrations up to 10 x the OSHA PEL, excluding asbestos. It features the 3M™ Cool Flow™ Exhalation Valve, comfortable foam faceseal, adjustable straps, and lightweight construction. Respirators are individually packaged.